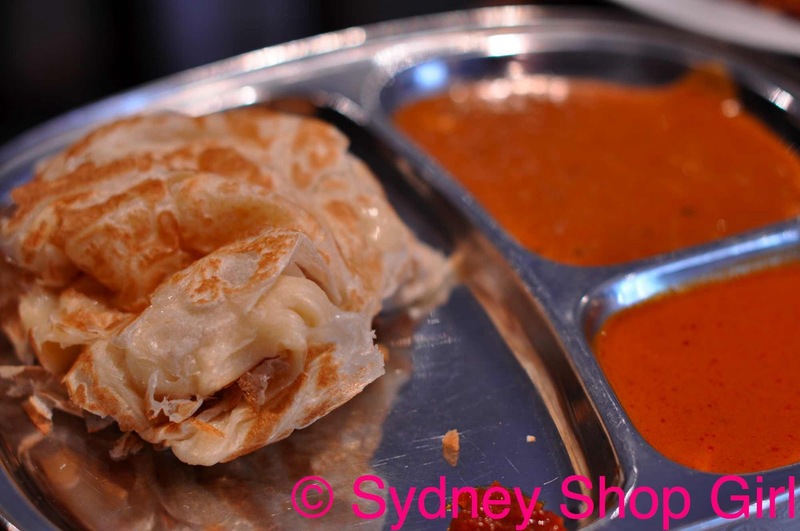 Sydney Shop Girl: Mamak Chatswood. Dress: SES, beads: Forever 21, usual jewelry. And wearing sundresses to dinner. 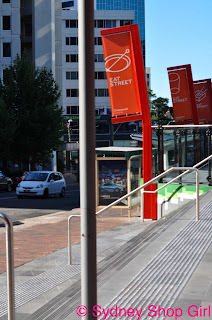 Eat Street - just up the escalators from Chatswood train station. 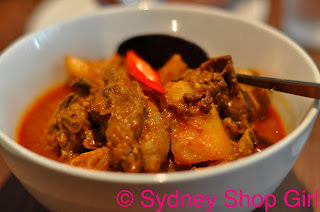 Mr SSG and I were craving Malaysian food and decided to head to Chatswood to catch both a movie and some good food. Mamak was the perfect choice. 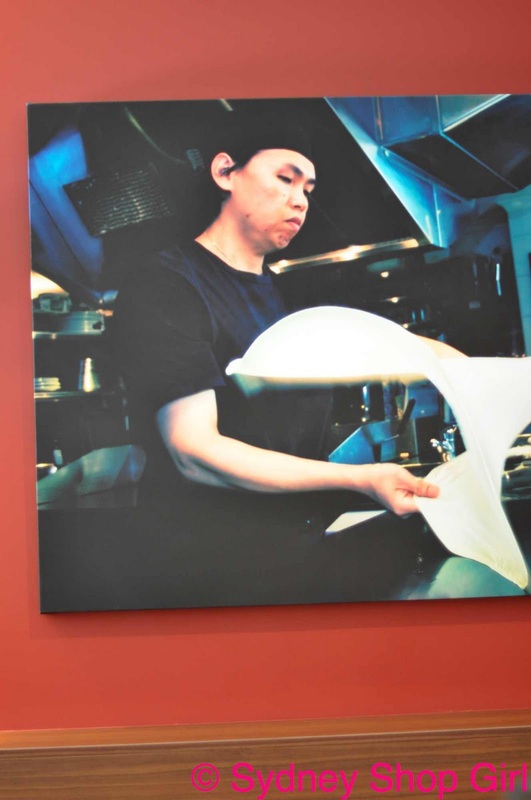 I have been to the original restaurant in China Town but this is the first time I've managed to get to the second outlet on Railway Street, Chatswood (full contact details in the urbanspoon graphic at the end of this post). 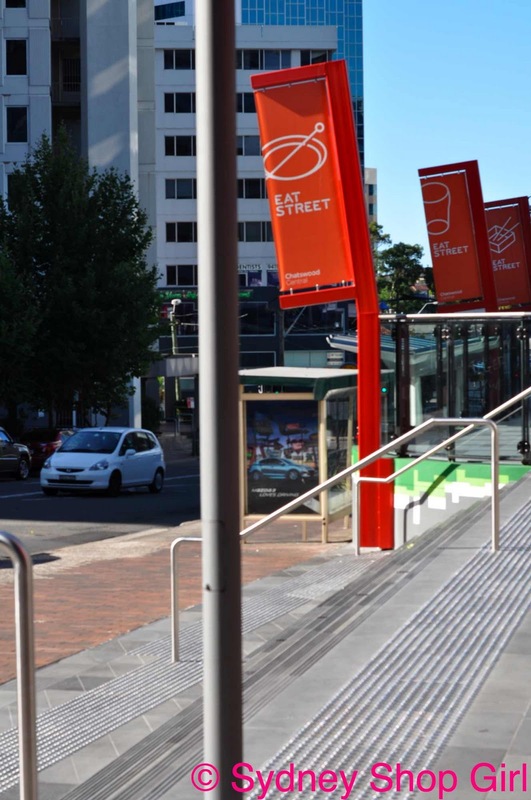 From memory, this second outlet opened around August 2010 and is situated in a refurbished row of shops near the train station (on the RSL club and bus stop side). The queues at the Chinatown branch are legendary. Mamak has a no bookings policy. There was already a line at 5.25pm (evening service starts at 5.30pm) on New Year's Day. 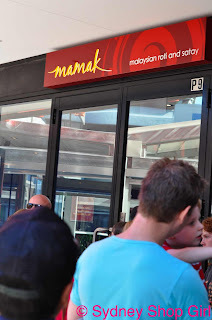 Mamak is famous for its roti. 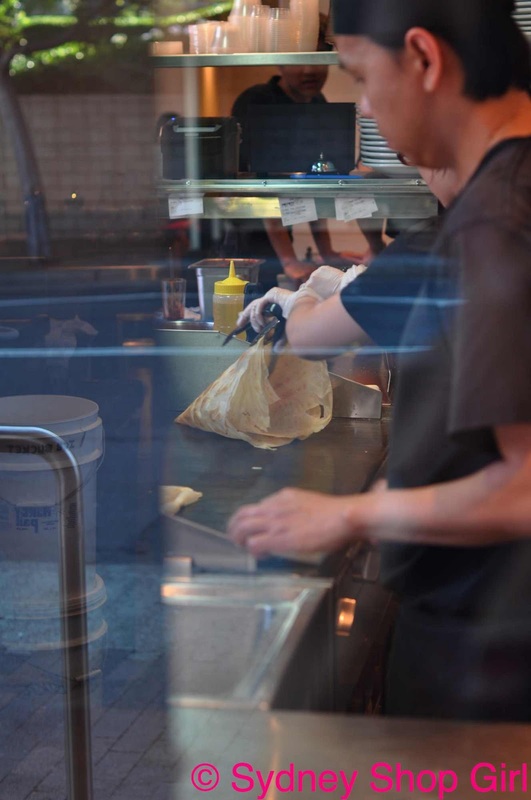 In Chinatown, I think the roti making area is still 'open air' at the front of the restaurant. I like the ambience of the Chatswood store better. It's more spacious and the kitchen area takes up about 1/3 of the floor space. It doesn't feel cramped and everyone (patrons and staff) can move about freely. Service was friendly and fast. The crowd was a pleasant mix of old and young. Not that I'm any more clucky than usual (!!) but it's very family friendly. Many tables featured younger guests who enjoyed the satay sticks, iced drinks and roti the most. 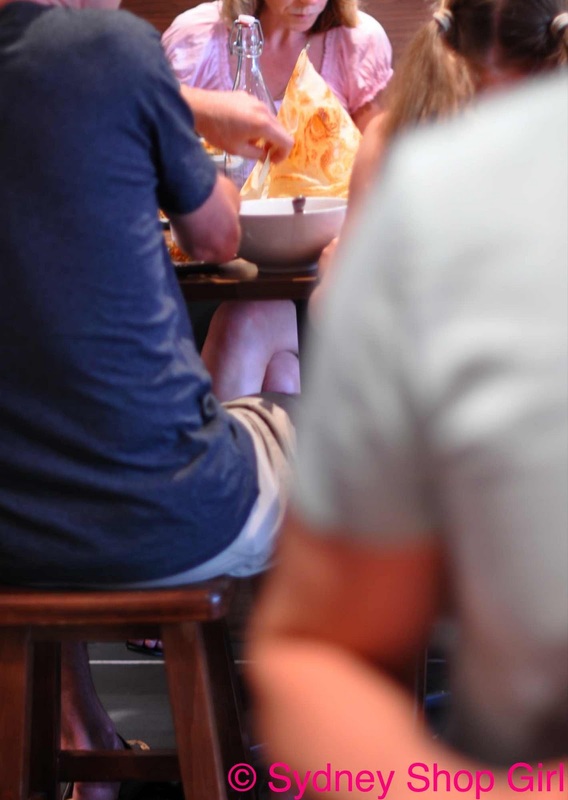 The food is so vibrant and tactile, the youngsters were really enjoying feeding themselves, occasionally wearing some of their dinner and then sliding off their chairs to mingle with friendly strangers at other tables. Oh the food. Mr SSG and I ordered like we totally missed out on eating our favourite dishes when we were in Singapore in November - fact. 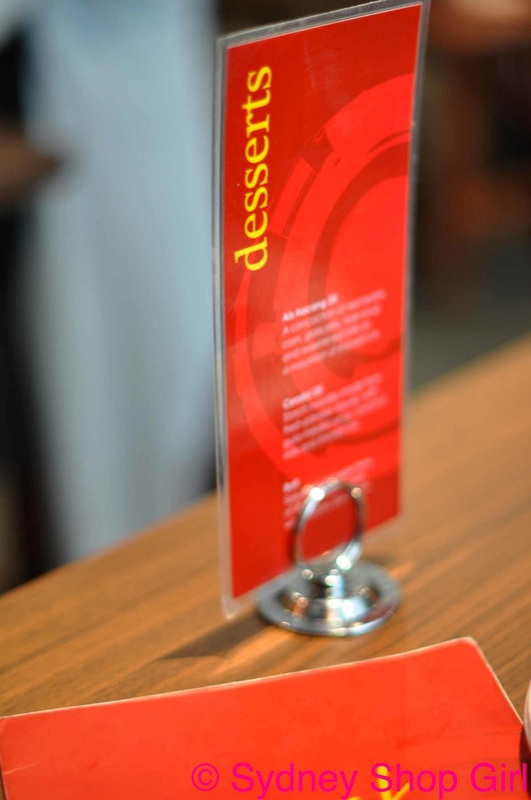 Generous serves, fresh ingredients and authentic flavours - what's not to like? The chicken curry was aromatic, with a rich spicy gravy and just the right amount of potato. 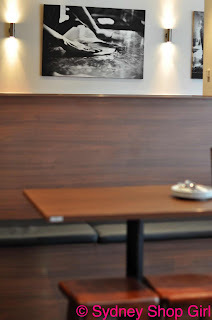 Similar decor to Chinatown but the tables aren't tightly pressed up against each other. 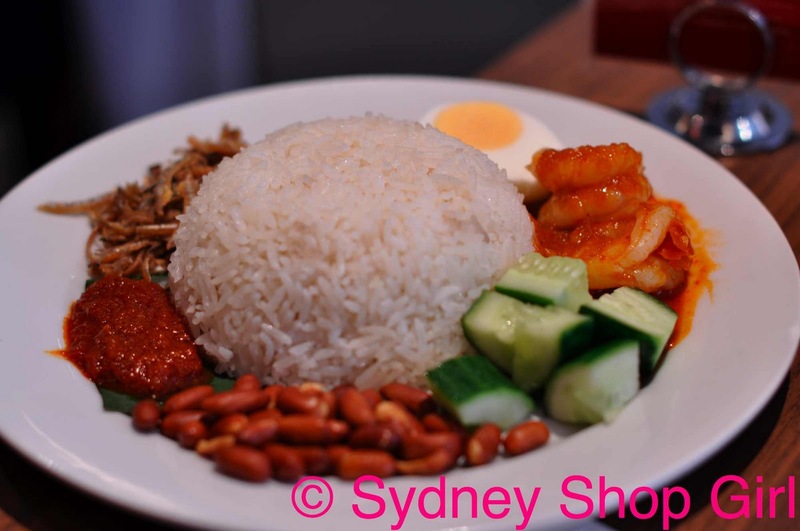 Nasi Lemak with sambal prawns. The Nasi Lemak featured beautifully flavoured coconut rice - it was a little sweet and had the perfect coconut taste. The ikan bilis (fried fish) wasn't oily. Food envy - a table near us ordered a serve of the conically shapped roti. One of my all time favourites is the roti cenai. I usually eat this at least once whenever I go back to Singapore. My aunty used to live in an area where a nearby apartment block featured a roti maker at the basement of the block. He would make these fluffly pastries seated at a camp stove. Half the fun was watching the roti being made. Roti cenai with 2 curries, one featuring lentils. Extra chilli sauce (at the bottom of the photo) for if you need more heat in your curry. The kankung belecan was perfect. Somehow the chefs managed to evoke that charred, smoky flavour of the hawkers in South East Asia. Mr SSG swears that the true Sydneysider name for roti murtabak is in fact Rusty Motorbike. Chicken roti murtabak / rusty motorbike. I was getting pretty full by this stage. 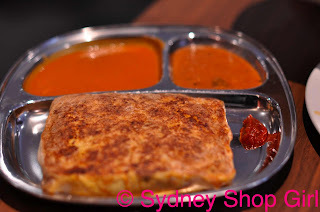 The murtabak is almost like an omelette and is really a meal in itself. Full or not, there is always room for cendol. There was no way Mr SSG was sharing so we each got one. 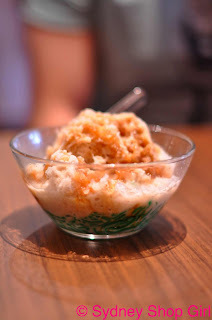 It was 2 photo worthy cendol. 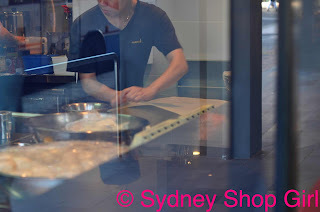 The only downside to the Chatswood restaurant is that the front kitchen is completely glassed in from the outside. 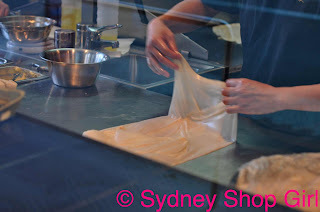 There are probably many good occupational health and safety reasons for this but I wish there were open areas in the front window for me to get a closer look at the roti making. These were the best pictures I could get. Making one of the conical roti. I could watch roti making for hours. It's not quite as rustic as in the basement of the flats in Singapore but just as entertaining to watch. Even on a very, very full stomach. 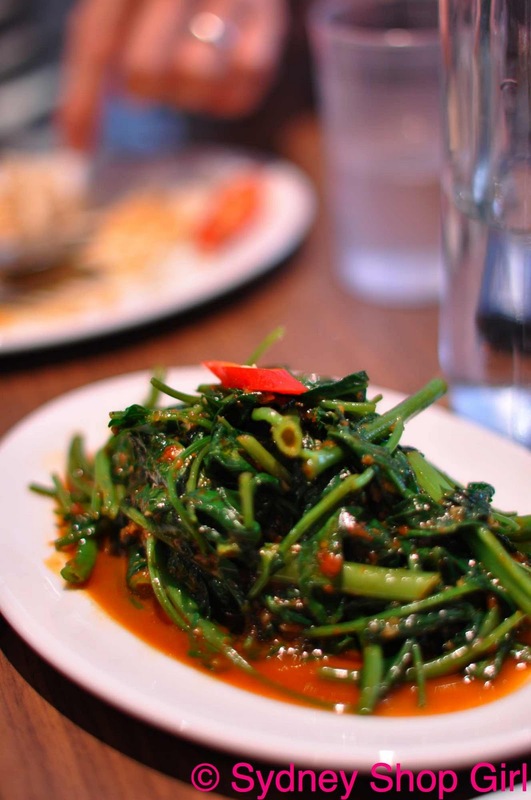 All that gorgeous food takes me back to my Borneo holiday last year - looks like truly authentic Malaysia food. Thanks SSG, now just need to get me some! Mmmm, lovely food pics. I wish we had one of these stores in Brisbane! I went to Malaysia for the first time last Sept and loved it. Although I can't deal with the belecan - smells like armpits!! Lotus: I am so dedicated to the cause of belecan, I have willed myself to overlook the smell. It's almost yogic, my willpower. I love roti and could (but luckily don't) eat it each day. I finally updated my blog with Christmas food pics too! Finally! 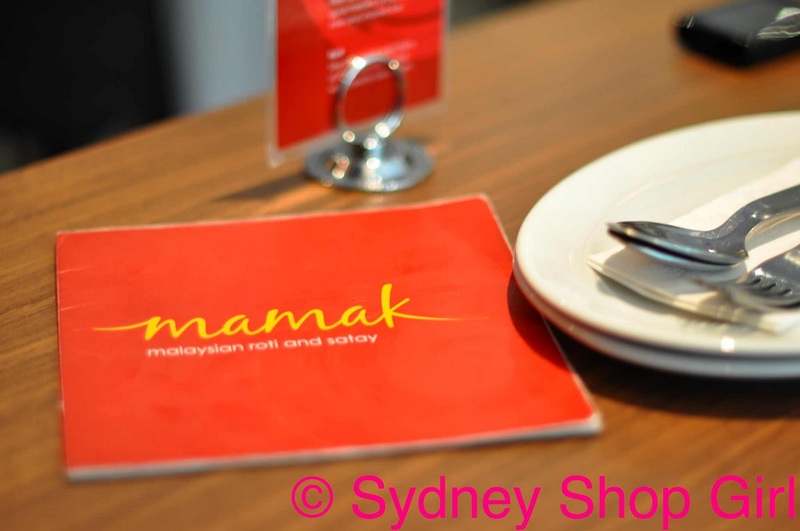 Oh, I love Mamak. Best roti outside Singapore/Malaysia. 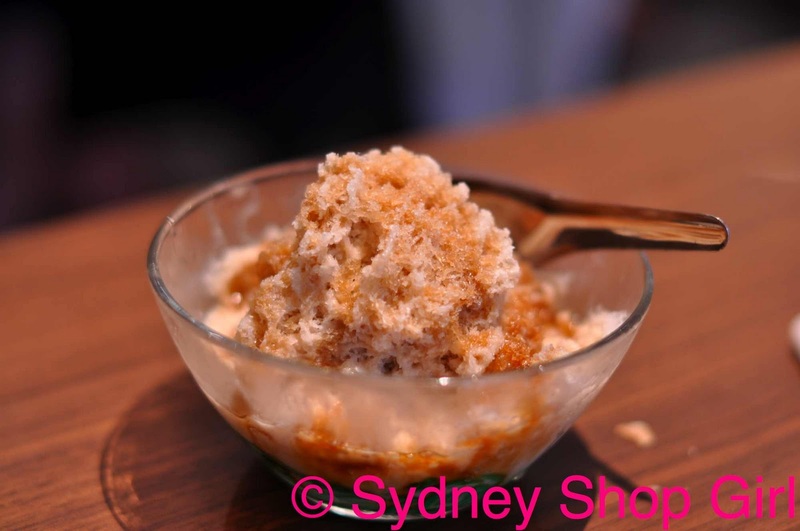 Whenever I get homesick, I go there ... Now I NEED cendol. Psychedelic Pants. Saturday Was All White. A Cup Of Tea For Bleak Times. The Fashion Pedigree of Polo Shirts. Soap and Surgery. A Preview of Parenthood. The Sun Always Rises. Life Went On Without Me. Rockpool Bar & Grill, Sydney. Winners of SSG's First Giveaway. Hope and Prayers For Queensland. Trumpets and Violins. At the Hair Crossroads. A Much Needed History Lesson. Things British. Man Blocks. Sausage Rolls. Cool Britannia.